Following yesterday's Pink Coat Analysis, I find myself obsessing over another outerwear trend: the return of the cape. 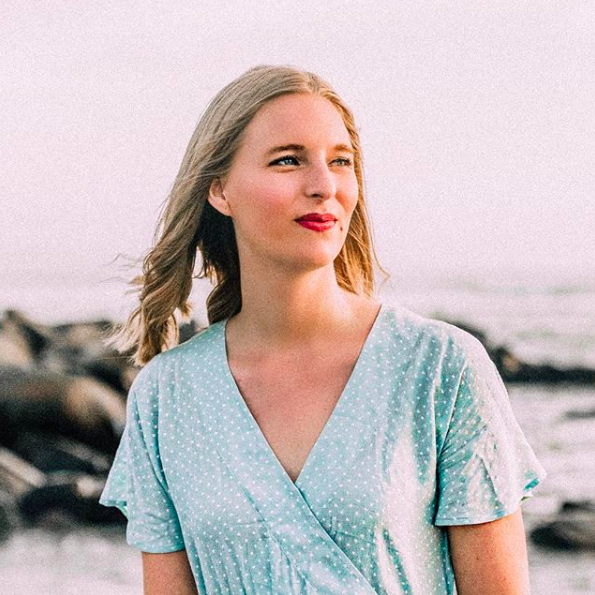 While not always entirely practical (in other words, the lack of sleeves) the cape is a stylish and swinging piece that can serve as an alternative to the typical, classic coat. And recently, capes have made a remarkable return to the forefront of cold weather fashions, which has gotten me questioning just how practical they can be and thus, how justified I would be if I were to buy one. 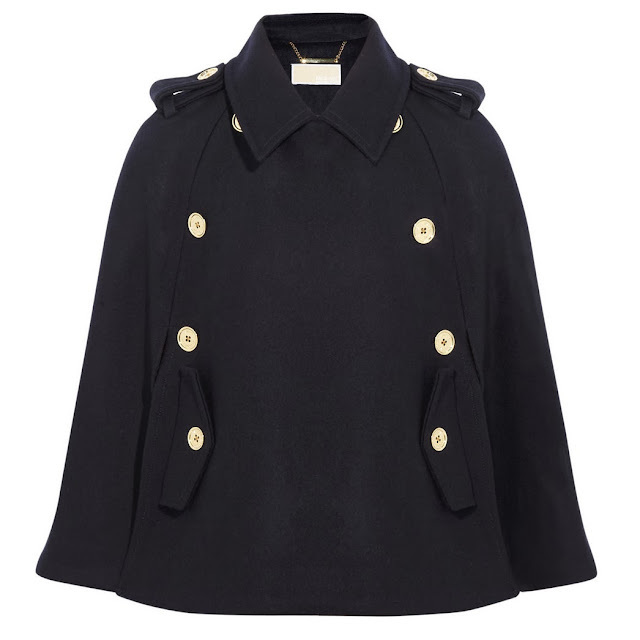 This MICHAEL Michael Kors cape in particular has got me swooning. It is classic black and gold and comes in at a perfect price point, which is quite tempting. Plus, it totally goes with anything, including my somewhat preppy style. But as the fall 2013 runways have shown, any style of lady can wear a cape, from the innocent fairy tale styling at Red Valentino to the witchy vibes at Marios Schwab. 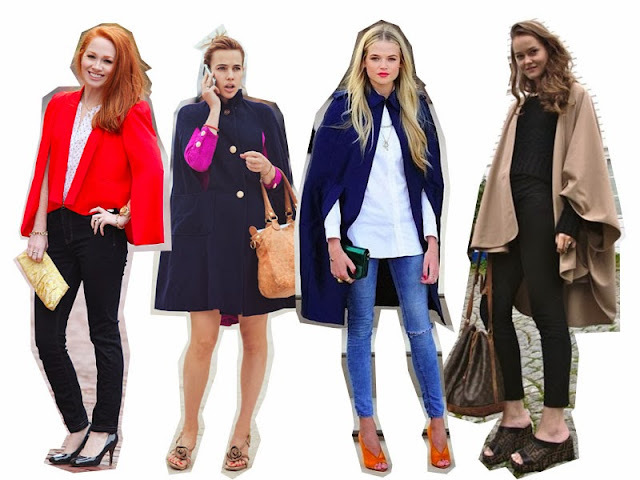 Take a cue from these bloggers and fashion-savvy ladies; there are endless ways to wear the cape! 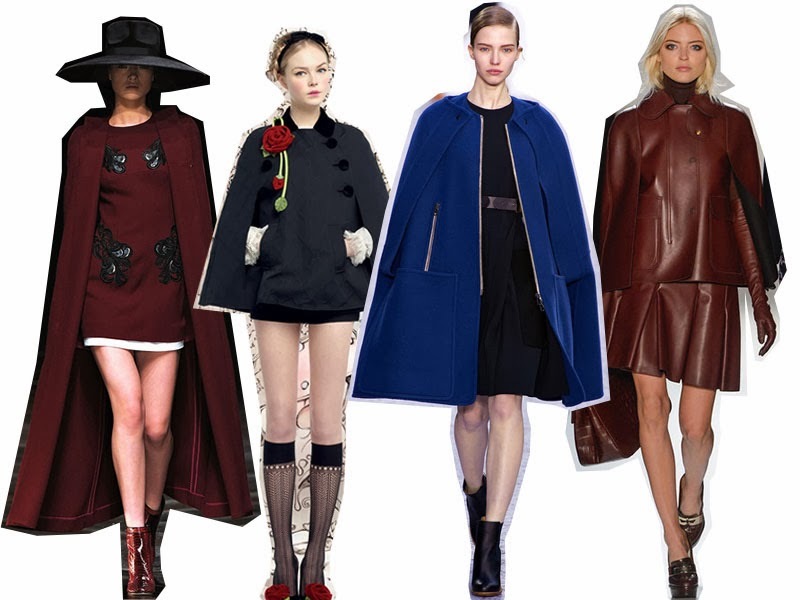 What do you think about the cape trend?